Cannot keep yourself away from snacking on nibbles or dessert? Maybe you should try out the healthy and gourmet snacks from The Snack Bar. 5pm hunger pangs are the real demons, and if you're looking for some delicious (but healthy) snacks like crispy beetroot chips (with Himalayan rock salt), peri peri sweet potato and okra chips, you'd probably like shopping from The Snack Bar. This local gourmet store sources products from different parts of the country, and ships PAN India. We are fond of their chocolate granola and spice mixes like Aglio Olio and Japanese Furikake, but never stop ourselves from indulging in truffle brownies and pastries. Planning a campfire? Get your hands on BBQ S'mores, and if you like Boba (or bubble) tea, make your own slushies or iced teas with the flavoured bubbles like cherry, chocolate, blueberry. They've got plenty of other flavours, and all of them are preservative free. Plus, chickpeas, nuts, and seeds can be your evening time samosa replacements. Don't agree? Try them out, and tell us what you think! We'd like to see some coffee or tea and dips in the store. 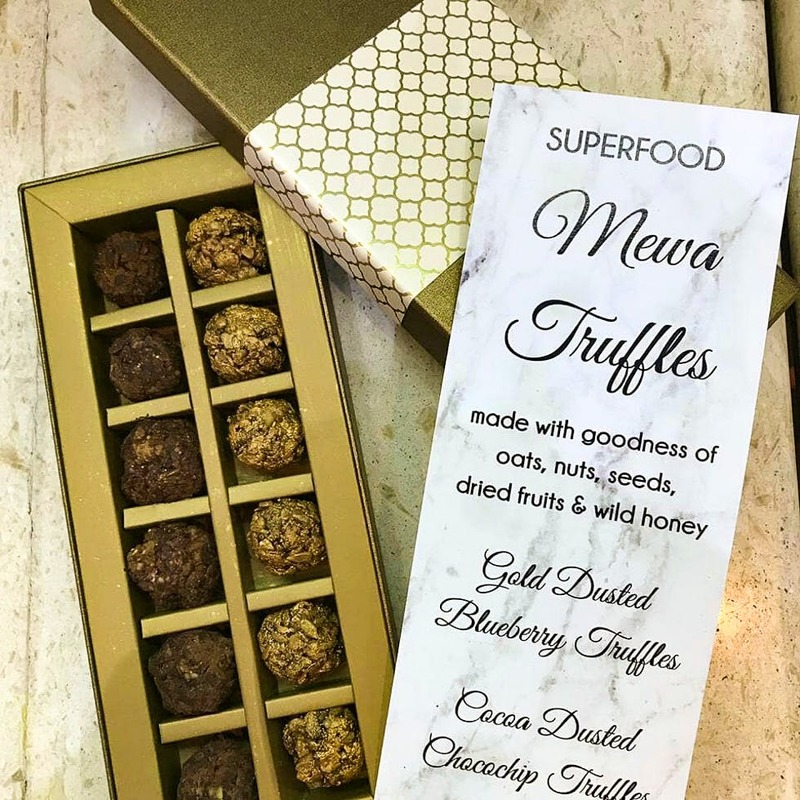 They've got more than 20 types of gourmet gift boxes but freshly-made items like cakes, truffles, and brownies are available in Hyderabad only.